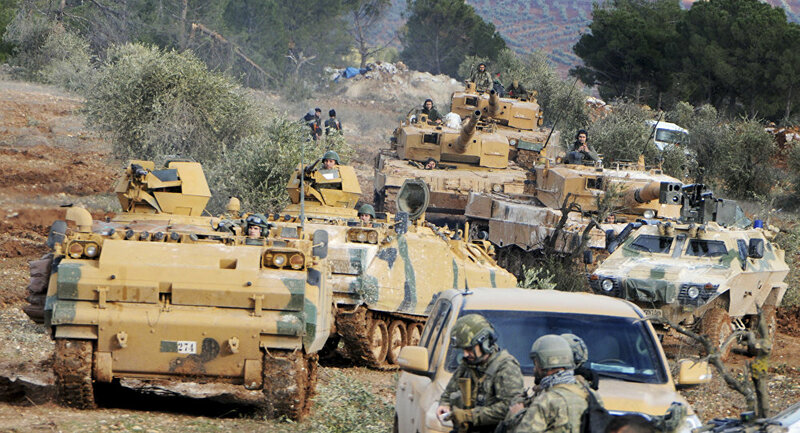 ANKARA (Sputnik) - The Turkish military has completed their preparations for a military operation in the northern Syrian city of Manbij, and east of the Euphrates River, Turkish Defence Minister Hulusi Akar said on Tuesday. "The Turkish Armed Forces have completed their preparations for the operation. When the time comes, all necessary measures against terrorists will be taken both in Manbij and to the east of the Euphrates," the minister said, as quoted by the Anadolu news agency, adding that Turkey had no intention of fighting either the Kurds or the Arabs in the area. Turkey has been opposing the presence of Kurdish militia in the north of Syria, claiming that the militants posed a threat to the country's security. In January 2018, Turkey launched a military operation in city of Afrin against the US-backed Kurdish People's Protection Units (YPG), which is regarded by Turkey as an affiliate of the Kurdistan Workers' Party (PKK), listed as a terrorist organization by Ankara. Damascus, in turn, has called the operation aggression. In December 2018, Erdogan announced that Ankara was ready to launch another offensive against Kurdish militia, this time, in Manbij, then controlled by the YPG, if the United States did not make the militants leave the area. The Turkish leader later said that the operation had been postponed following his phone conversation with US President Donald Trump, who had announced the withdrawal of US troops from Syria after the call.